Whether a threshold nodule size should prompt diagnostic thyroidectomy remains controversial. 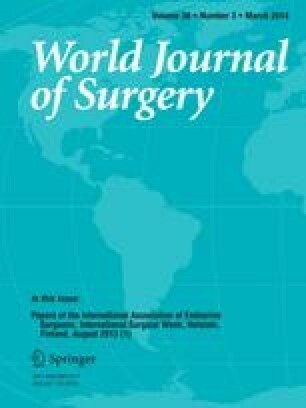 We examined a consecutive series of patients who all had thyroidectomy for a ≥4 cm nodule to determine (1) the incidence of thyroid cancer (TC) and (2) if malignant nodules could accurately be diagnosed preoperatively by ultrasound (US), fine needle aspiration biopsy (FNAB) cytology and molecular testing. As a prospective management strategy, 361 patients with 382 nodules ≥4 cm by preoperative US had thyroidectomy from 1/07 to 3/12. The incidence of a clinically significant TC within the ≥4 cm nodule was 22 % (83/382 nodules). The presence of suspicious US features did not discriminate malignant from benign nodules. Moreover, in 86 nodules ≥4 cm with no suspicious US features, the risk of TC within the nodule was 20 %. US-guided FNAB was performed for 290 nodules, and the risk of malignancy increased stepwise from 10.4 % for cytologically benign nodules, 29.6 % for cytologically indeterminate nodules and 100 % for malignant FNAB results. Molecular testing was positive in 9.3 % (10/107) of tested FNAB specimens, and all ten were histologic TC. In a large consecutive series in which all ≥4 cm nodules had histology and were systematically evaluated by preoperative US and US-guided FNAB, the incidence of TC within the nodule was 22 %. The false negative rate of benign cytology was 10.4 %, and the absence of suspicious US features did not reliably exclude malignancy. At minimum, thyroid lobectomy should be strongly considered for all nodules ≥4 cm.